Arrhythmogenic right ventricular dysplasia (ARVD) is a structural heart disease affecting young adults that leads to cardiac rhythm disorders including supraventricular and mostly ventricular arrhythmias. Sudden death may be the first presentation of the disease. Ablation techniques have been used for the treatment of ventricular tachycardia in cases resistant to drug therapy. Radiofrequency is appropriate as a first approach for ventricular tachycardia ablation in ARVD; however, its effectiveness is less than 40% at the first session. Fulguration is effective for ventricular tachycardia ablation and should be used in the same session after ineffective radiofrequency ablation. However, fulguration requires expertise, general anesthesia, and more than one session in half of all patients. 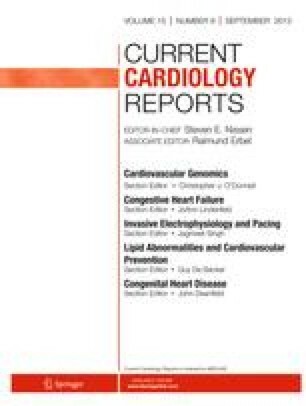 Radiofrequency and fulguration plus other common forms of treatment including pacemakers and automatic implantable cardioverter defibrillators provides a clinical success rate of 81% to 93% in a series of 50 consecutive patients studied during 16 years. Earlier poor reputation of fulguration was the result of poorly understood technical problems concerning the physics and biophysics of the procedure under control with presently available methods. This in-depth study of a large population over a long time period demonstrates that fulguration should be rehabilitated.